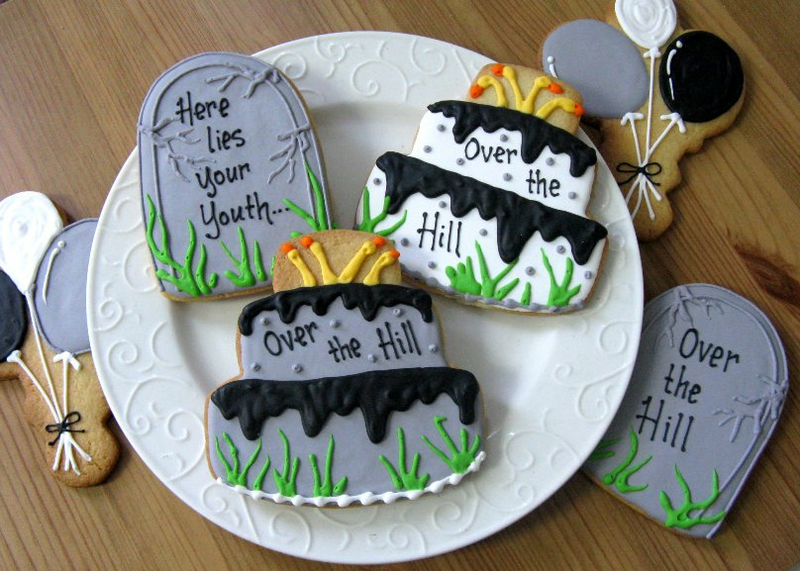 These Over The Hill Cookie Favors are great fun and delicious! They can be personalized with a message of your choice or simply adorn these Over The Hill Party Favors with a Happy Birthday wish. 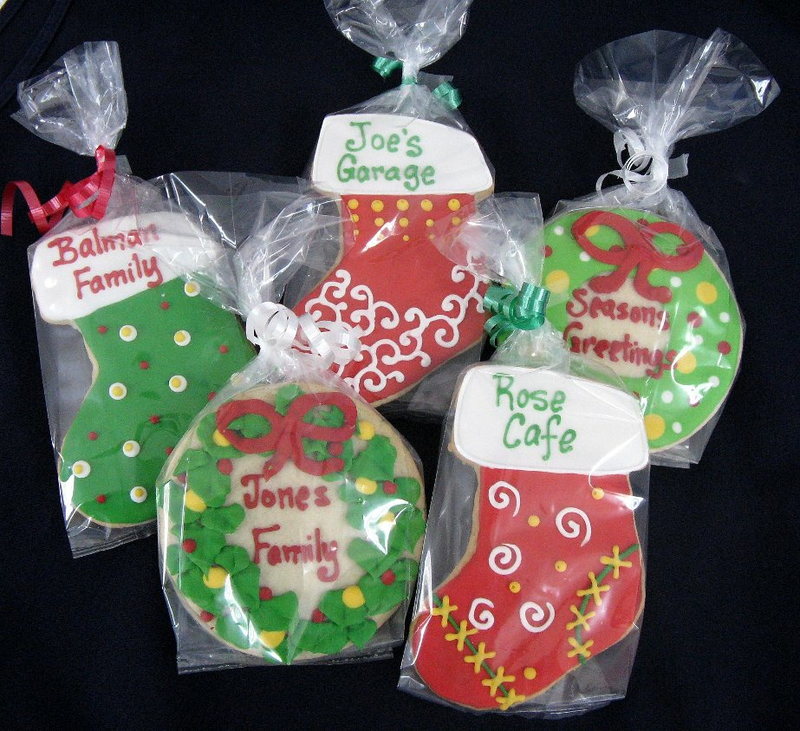 Our custom cookies are a popular favor choice - our customers rave about them! 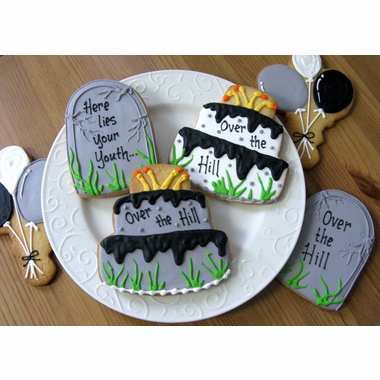 Our custom favors are available in three shapes (cake, tombstone, and balloons) or you can order an assortment. The cake measures 4 1/2" x 4 1/2", the tombstone is 4 1/4" x 3 1/4" and the balloons are 5" x 3 1/2". Each cookie arrives in a cellophane bag and tied with a matching curling ribbon (please refer to inset photo for an example).